Hyderabad, Mar 07: The Telangana Rashtra Samiti working president K.T. Rama Rao on Wednesday said that the Federal Front will rule this country after the general election. Addressing party cadre at the launch of his election campaign in Karimnagar, Rama Rao stated that neither the Congress nor the Bharatiya Janata Party will get a full majority in the upcoming Lok Sabha elections and "it is the TRS supremo K. Chandrasekhar Rao (Sar + Car = Delhi Sarcar) who will play a crucial role in forming a coalition government at the Centre." With the coining of the new slogan — Sar + Car = Delhi Sarcar — by Rama Rao, party leaders were reminded of the 'KCR SARCAR' the day after the results of the Assembly elections were announced (December 11, 2018) giving the TRS an extensive majority. 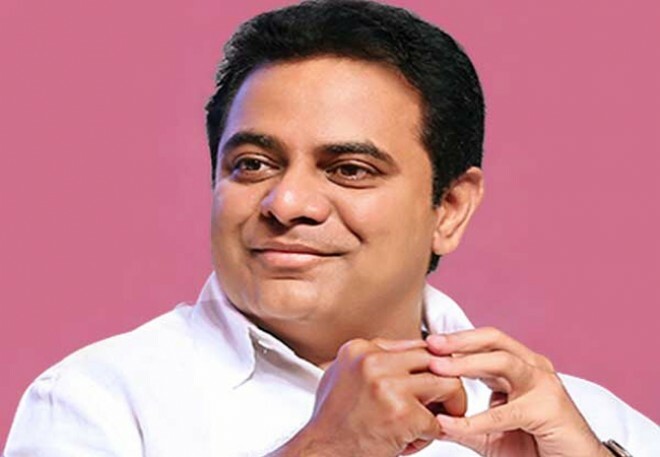 Rama Rao said that after the parliamentary elections, more than 70 MPs of different political parties will back the Federal Front which will thus have a strong voice in deciding the future Prime Minister. He said leaders at the Centre always develop their native states and ignore Telangana state. "To develop Telangana, we need more TRS MPs in Delhi who can strongly fight for the development of the state," he said. He accused the Centre of ignoring the recommendations of Niti Aayog to sanction Rs 23,000 crore for Mission Bhagiratha and said Prime Minister Narendra Modi has never responded to the requests of the state government to accord national project status to the Kaleshwaram project. Deriding Congress leaders for their claim that the upcoming polls are between Modi and Rahul Gandhi, he said TS Congress leaders run to Delhi to get tickets and B forms. "How can such leaders do well for TS," he asked.